Today, I review the first two books in Errin Stevens's fantasy series The Mer Chronicles - Updrift and Breakwater. 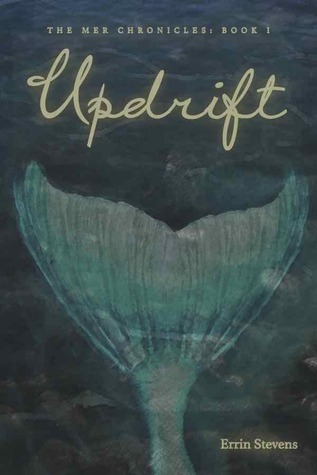 In Updrift, Kate Sweeting is an only child and moved to the Griffins Bay, North Carolina area with her mother after her father died. She quickly made a group of friends and attended school and parties. There are secrets surrounding the Blake family, and rules about dating that make no sense to Kate. That changes once she and Gabe graduate college, and he reveals that he is a siren, and there are strict rules about relationships. However, not all in the siren community actually care about following the rules. Updrift begins very slowly, plodding through the move and meeting people in the Griffins Bay area. It's essentially a long list of names and ages, with long meandering conversations. It seems as though these early chapters could have been tightened up, with occasional flashback paragraphs to how it was moving to the area or making friends. The story picks up in Part 2 when Gabe reveals that he's a siren, but there is still a lot of telling and not showing. The side story with Kate's aunt and uncle feels added in for padding, and the detail regarding their relationship slows the pace of the story. The pace truly picks up about halfway through Part 2, when the actual conflicts begin and we get less of the day to day minutiae of their lives. That part progresses quickly, which is probably why the first third of the book progressed so slowly. There is really little time for characterization in the final third, as it's pretty much all action. I think I would have enjoyed it more if there was a better balance in pacing and plotting. 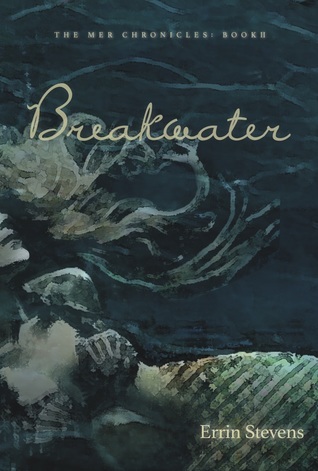 In Breakwater, there is political unrest among the sirens following the events of the first novel. There is a power vacuum, as well as sirens that had been exiled for not wanting to follow the tightly held rules and relationships that kept the collective community running. In Breakwater, there isn't the same slow start that there is in Updrift since all the relationships and back stories are already established. I found it sad and amusing that thirty-four-year-old men were described as emotional adolescents, but with a very rigid society, the dissatisfaction that they feel is understandable. The reveal of the next in line for the throne felt odd and contrived, and then it was pushed to the background to delve into the political unrest, as well as the exiled sirens returning and their struggles to find happiness of their own. There is a lot of drama and melodrama involved, especially when the siren community realizes that Peter wasn't the only abnormal siren. The end of the novel doesn't feel as finished as the first one did, giving the impression that this is more of a linker novel between the first and next books in the series. The two books here so far remind me very much of various TV series on the CW. It's like a paranormal themed soap opera, with lots of the little details about each others' lives that links them together. It's almost as if each book would be a season of a show, which may explain why it feels a little drawn out in places.